In a statement released Friday, Apple's senior vice president of hardware engineering, Dan Riccio, said the company had concluded that its AirPower wireless charger "would not achieve our high standards," so it canceled the project. "We apologize to those customers who were looking forward to this launch. We continue to believe that the future is wireless and are committed to push the wireless experience forward," Riccio wrote. Apple did not address Computerworld inquiries about what technical issues crippled AirPower or if the company plans to take a different tack to develop a wireless charger. Apple's explanation of why it canceled AirPower sounded "fishy" to Jack Gold, principal analyst with J. Gold Associates. "Does that mean their engineering staff couldn't design a product that met the needs? I know they are stringent in their designs, but given they have complete control (unless they outsourced it all), and they've had plenty of time to make it work, my guess is they just gave up because they were so late to market and there are already a ton of competing products out there," Gold said via email. A market saturated with competing projects could have precluded Apple from charging its normal premium product price and so it may not have been worthwhile from a profitability standpoint, Gold said. 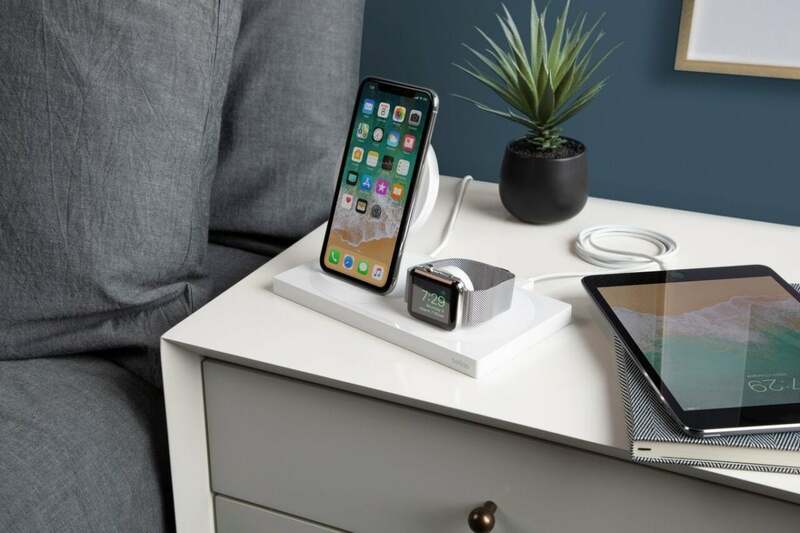 Apple originally announced AirPower in September 2017, saying it would ship the multi-device wireless charger by the end of 2018. But as 2018 came and went, AirPower was a no-show. Each time Apple announced it would showcase new products, industry pundits speculated one of them would be AirPower. In January, Hong Kong-based website ChargerLAB tweeted that a "credible source" in the supply chain had confirmed that AirPower was already in production. Over the past six or so months, all references to AirPower on Apple's web pages vanished. 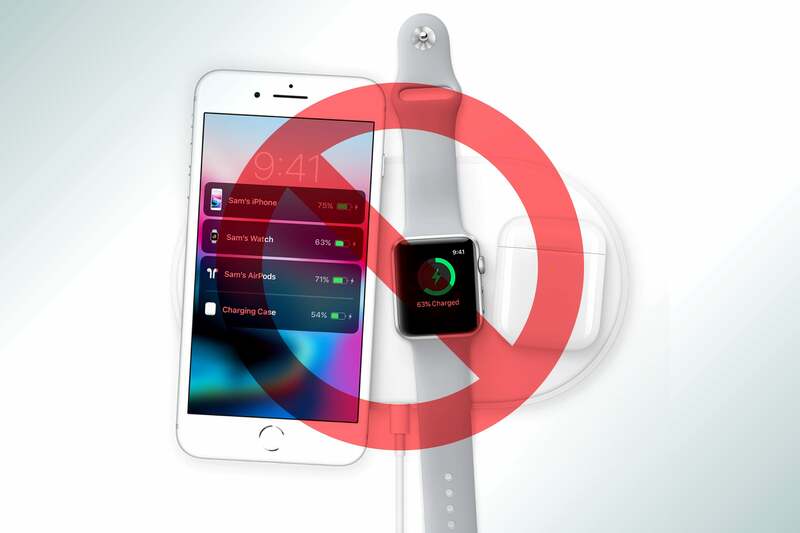 "I think Apple overpromised without having a full understanding about the value of wireless charging to consumers, however this is not odd given rapid change of mobile technologies and competitive landscapes," Amy Teng, a Gartner research director, said via email. Some industry analysts and pundits speculated the problem developing AirPower had to do with the need to overlap copper charging coils in order to modulate the power output to meet the needs of three Apple devices with different charging requirements. Along with being able to automatically adjust power output depending on the device on the charging pad, the closer the charger's copper coils and the greater number of them there are, the more potential there is for overheating. "The challenge was not charging three different devices but rather put three different devices wherever you wanted on the mat and have them charge," said Carolina Milanesi, a principal analyst at Creative Strategies. "Many people were skeptical about the feasibility of this due to the need of the coils to somewhat overlap. "While it us up to Apple to make the product meet their standards, they have faced challenges that I suppose they could not solve and still ship a product that they felt meet user's needs," Milanesi continued. "For instance, they could have found a way to avoid overheating but had to sacrifice the speed at which the products charged." Broadly speaking, there are three types of wireless charging. There are charging pads that use tightly coupled electromagnetic inductive or non-radiative charging; charging bowls or through-surface type chargers that use loosely coupled or radiative electromagnetic resonant charging that can transmit a charge a few centimeters; and uncoupled radio frequency (RF) wireless charging that allows a trickle charging capability at distances of many feet. Both tightly coupled inductive and loosely coupled resonant charging operate on the same principle of physics: a time-varying magnetic field induces a current in a closed loop of copper wire. In October 2017, Apple purchased New Zealand-based PowerByProxi, which had developed a loosely coupled radiative resonant charging bowl. No further announcements about PowerByProxi were made by Apple after the acquisition. Since announcing AirPower in 2017, more than a dozen competing multi-device wireless chargers have shipped — though none purports to be capable of charging three different Apple devices at the same time. 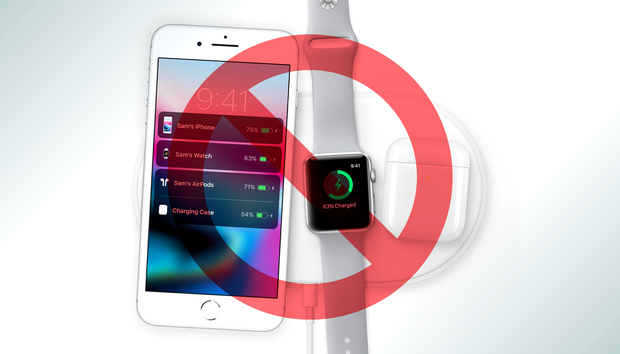 (The chargers that can power up more than one device simultaneously do so with an iPhone and Apple Watch). 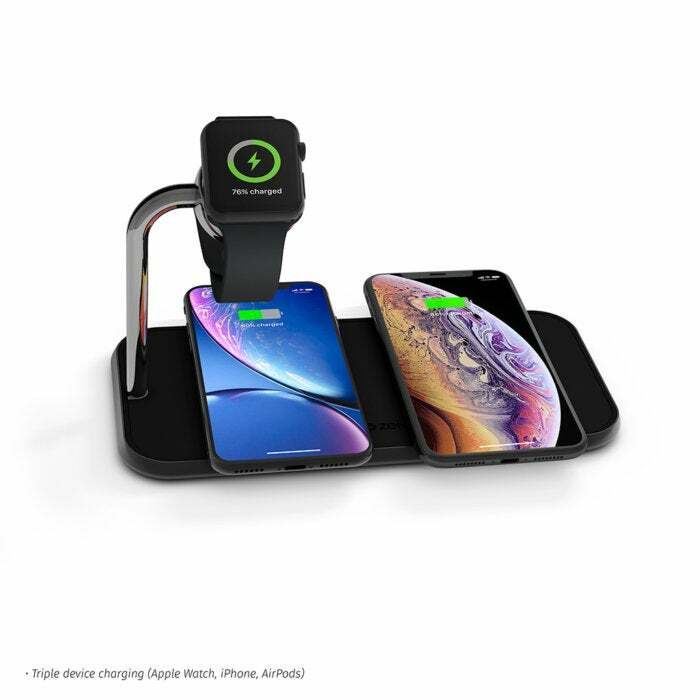 In fact, upon launching its first wireless charging-capable phones, the iPhone 8 and iPhone X, Apple recommended that users purchase wireless charging pads from third-party suppliers Mophie and Belkin. While Apple's silence over the past year and a half as to the fate of its AirPower wireless charger may have disappointed some anticipating it, Milanesi said it would have been irresponsible to ship a product that wasn't fully baked. "It is certainly not Apple M.O. to promise devices and then not ship them; history shows that," Milanesi said. "Apple was late to wireless charging so they might have wanted to deliver something that was different and more user-friendly, as they often do. In this case, I guess the laws of physics got in the way."